ROCKVILLE, Md. - Sept. 20, 2018 - PRLog -- "MURDER at the FOUR DEUCES"
A roaring 1920's gangster murder mystery dinner game. All proceeds from the event will benefit the Magruder H.S. Army JROTC program. 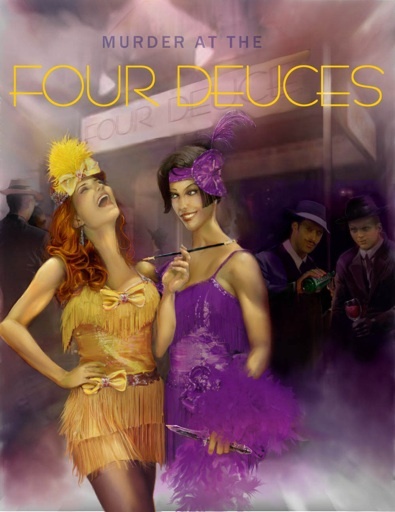 Don Wannabe is hosting a Grand Opening celebration for his lavish new speakeasy, The Four Deuces, and you are cordially invited to attend. With gangsters, hit men, politicians, a jazz singer and many other interesting guests in attendance, there are sure to be a lot of big deals being made here tonight. Grab your best outfit from the roaring 20's and come have some fun!! Space is limited. Everyone should expect to play a character. Limited to 21 years old and older. The cost per person is $65.00 which includes buffet and non-alcoholic beverages. Cash bar is available and will feature a limited menu of 1920's specialty drinks.